Machines are possible to have some artificial intelligence like human beings owing to particular algorithms or software. Such machines could learn knowledge from what people taught them and do works according to the knowledge. In practical learning cases, the data is often extremely complicated and large, thus classical learning machines often need huge computational resources. Quantum machine learning algorithm, on the other hand, could be exponentially faster than classical machines using quantum parallelism. 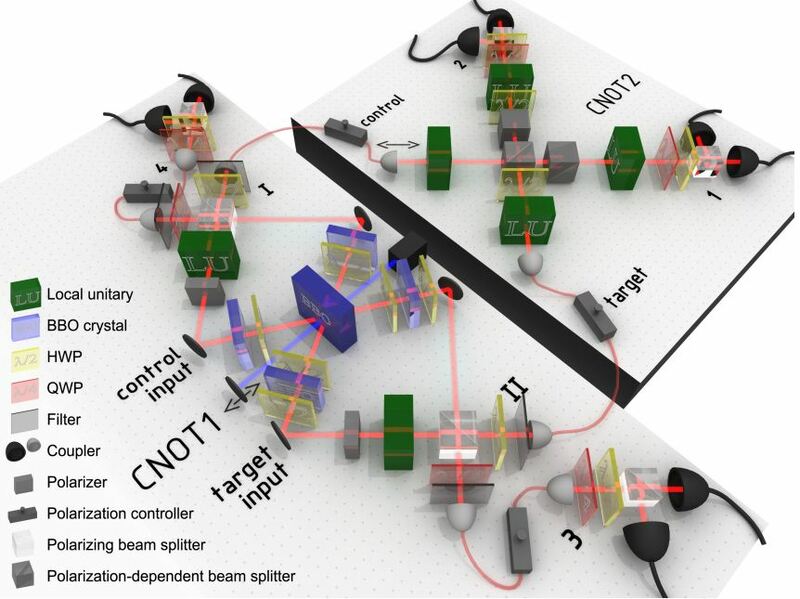 Here, we demonstrate a quantum machine learning algorithm on a four-qubit NMR test bench to solve an optical character recognition problem, also known as the handwriting recognition. The quantum machine learns standard character fonts and then recognize handwritten characters from a set with two candidates. To our best knowledge, this is the first artificial intelligence realized on a quantum processor. 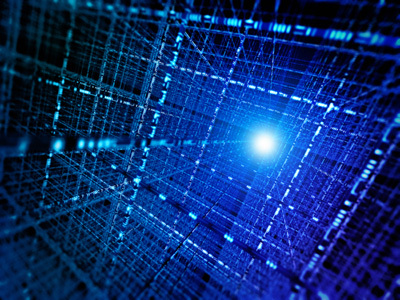 Due to the widespreading importance of artificial intelligence and its tremendous consuming of computational resources, quantum speedup would be extremely attractive against the challenges from the Big Data…..
A fragile quantum memory state has been held stable at room temperature for a “world record” 39 minutes – overcoming a key barrier to ultrafast computers. “Qubits” of information encoded in a silicon system persisted for almost 100 times longer than ever before. “This opens the possibility of truly long-term storage of quantum information at room temperature,” said Prof Thewalt, whose achievement is detailed in the journal Science. In conventional computers, “bits” of data are stored as a string of 1s and 0s. But in a quantum system, “qubits” are stored in a so-called “superposition state” in which they can be both 1s and 0 at the same time – enabling them to perform multiple calculations simultaneously. The trouble with qubits is their instability – typical devices “forget” their memories in less than a second. There is no Guinness Book of quantum records. But unofficially, the previous best for a solid state system was 25 seconds at room temperature, or three minutes under cryogenic conditions. In this new experiment, scientists encoded information into the nuclei of phosphorus atoms held in a sliver of purified silicon. 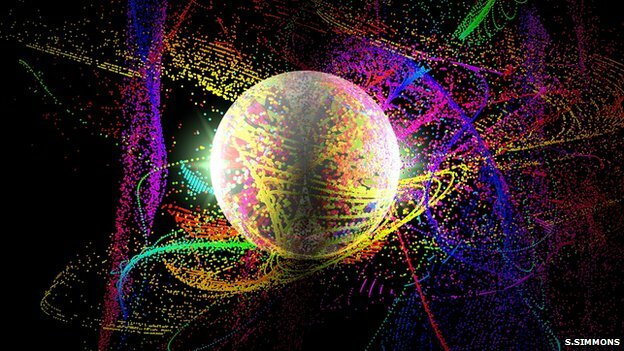 Magnetic field pulses were used to tilt the spin of the nuclei and create superposition states – the qubits of memory. The team prepared the sample at -269C, close to absolute zero – the lowest temperature possible….. The presented device-independent method is based on a single assumption: “We only have to make sure that we always apply the same set of operations on the quantum objects, and that the operations are independent of each other”, explains Julio Barreiro. “However, which operations we apply in detail – this is something we do not need to know.” This approach – called Device Independent – allows them to get around several potential sources of error, and subsequently wrong interpretations of the results. “In the end, we investigate the correlations between the settings and the obtained results. Once the correlations exceed a certain threshold, we know that the objects are entangled.” For the experimentally hardly avoidable crosstalk of operations applied to levitating calcium ions in the vacuum chamber in Innsbruck, the Swiss theorist Jean-Daniel Bancal managed to adapt the threshold according to a worst-case scenario. 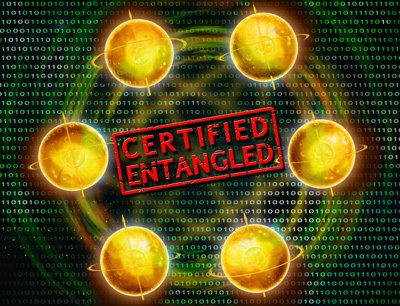 “When this higher threshold is breached, we can claim entanglement in the system with high confidence”, states Bancal. Solving linear systems of equations is ubiquitous in all areas of science and engineering. With rapidly growing data sets, such a task can be intractable for classical computers, as the best known classical algorithms require a time proportional to the number of variables N. A recently proposed quantum algorithm shows that quantum computers could solve linear systems in a time scale of order log⁡(N), giving an exponential speedup over classical computers. Here we realize the simplest instance of this algorithm, solving 2×2 linear equations for various input vectors on a quantum computer. We use four quantum bits and four controlled logic gates to implement every subroutine required, demonstrating the working principle of this algorithm. Systems of linear equations are used to model a wide array of problems in all fields of science and engineering. Recently, it has been shown that quantum computers could solve linear systems exponentially faster than classical computers, making for one of the most promising applications of quantum computation. Here, we demonstrate this quantum algorithm by implementing various instances on a photonic quantum computing architecture. Our implementation involves the application of two consecutive entangling gates on the same pair of polarisation-encoded qubits. We realize two separate controlled-NOT gates where the successful operation of the first gate is heralded by a measurement of two ancillary photons. Our work thus demonstrates the implementation of a quantum algorithm with high practical significance as well as an important technological advance which brings us closer to a comprehensive control of photonic quantum information.